Indoor hard court enthusiast or outdoor sand admirer? Take your pick with volleyball – a fun team sport played with a ball and net dividing two teams. Imagine your phone being thrown in the air and you have to try your hardest to stop it from slap, bang, crashing on the floor. Now imagine your phone has changed into a volleyball but keep the same willingness to save your phone from touching the floor. Now imagine you’ve got team mates helping you to knock it up, ready to send it back over the net towards the opposition: voila, you have volleyball (and one very stretched phone analogy). The main aim of the game is to stop the ball hitting the ground, whether this is on a hard court or a beach (yes please!). Points are scored when the ball lands on the opponent’s side of the court. 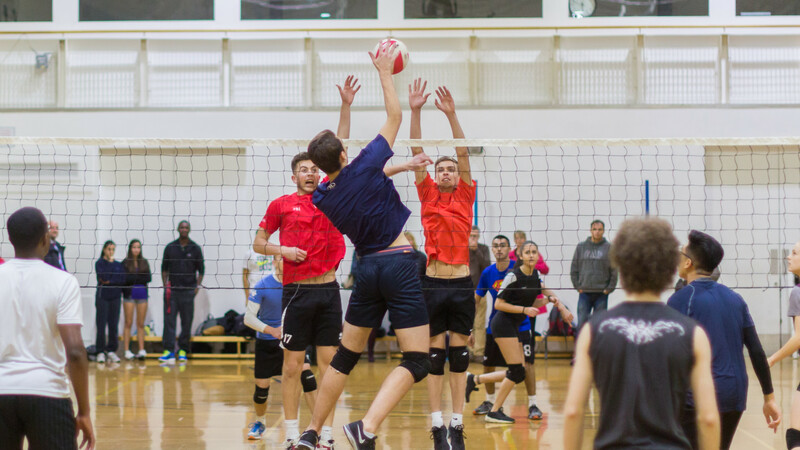 Volleyball’s high-energy and zero contact nature makes it a great activity to improve fitness, coordination and socialise. Normal sportswear is required. If playing on hard courts, trainers that have a good grip are advised. If you’re playing on a beach then flick off your shoes, grab your shorts and enjoy. Check with organisers to confirm clothing. If volleyball interests you and you would like to find out more, visit Volleyball England to understand the basics of the game.